Can you borrow money with bad credit? It’s more difficult, but not impossible. There are ways to get credit extended to you even with a low credit score. Whether you opt for secured credit products or credit that has been cosigned for, credit is still obtainable to those with bad credit. Why are you borrowing money? What is your intent with the credit you’ve been extended? Are you planning on spending it, or are you just borrowing to improve your credit score? As someone with poor credit, borrowing money should only be done in order to improve your credit standing. If you’re opting in to any credit product, you should be using it either to pay off those debts that are the most pressing or to establish good payback habits to increase your credit score. Taking out a loan with bad credit can be good if it’s a loan you’re using to pay down your debts. Consolidation loans are common amongst those who are struggling with many payments and wish, instead, to have just one monthly payment to pay down everything. In the process of a consolidation loan, you will improve your credit score by using it to pay off your other debts. If, on the other hand, you’re borrowing money to upgrade the bathroom in your basement, you’re just falling prey to the same behaviour that got you the bad credit to begin with. You’re living outside of your means and the only real outcome to that is going to be heftier debt and a lower credit score. There are risks to borrowing with bad credit, even if you’ve got good intentions for the money. If you borrow money to pay off your other debts, you could find yourself caught in a cycle of debt, where you borrow money to pay down debts, and then borrow more money to pay down those debts and so on. It’s kinda of like robbing Peter to pay Paul. All you’re going to accomplish this way is accumulating more and more debt, and bringing your credit score down rapidly. Borrowing with bad credit is more expensive than borrowing with good credit, too. If you have to borrow with poor credit, you’re going to be offered only the highest interest rates. This alone could prove to make paying the funds back very difficult. It can be the reason you’ve found yourself trapped in more debt than you can handle. With poor credit and the need to borrow, you can be sucked into the more predatory methods of lending like payday loans and cash advances. These types of borrowing are significantly more expensive than other forms of lending and they’re set up to prey on those who are desperate and can find no other alternatives. If you’re considering borrowing for a good reason, ie. 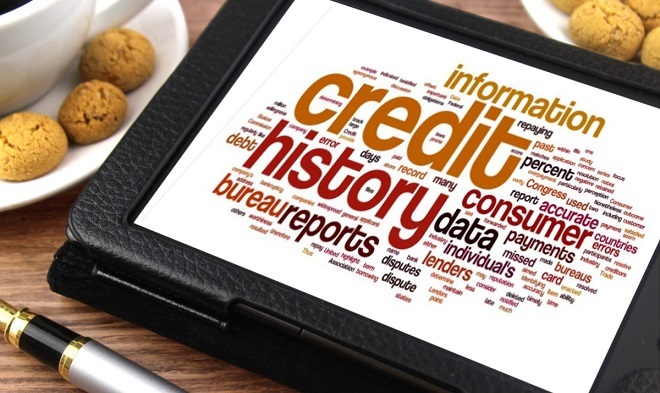 you’re looking to improve your credit score, consider a credit rebuilding program. Refresh Financial offers a credit building program that requires no upfront cash to secure, and reports to the credit bureaus just like a loan. The best part is that once you’ve paid it down, you’re going to get a chunk of cash that you can use to pay down your other debts. Paying it off on time every month and keeping all your other debts in line can have a rapid upward effect on your credit score. For more information on a credit building program through Refresh Financial’s credit rebuilding program, click here. Borrowing money with bad credit has its risks. As long as you’re doing it for the right reasons and heavily weighing your options, you’re going to avoid those risks and reap the rewards of a higher credit score. It takes discipline and self-control, but anyone can do it! What are some of the risks you see when borrowing money with poor credit? Let us know in the comments!